The case relates to the ownership of four apartments in the upmarket Park Lane neighborhood of London, the capital of the United Kingdom. On Friday, Maryam was also found guilty, and sentenced to seven years imprisonment and a $2.6m fine. With this verdict, Maryam Nawaz now stands disqualified from standing in Pakistan's July general election as a candidate. Her husband Muhammad Safdar was also sentenced to one year in prison, and will stand disqualified from running the upcoming polls. In April, the Supreme Court effectively ended Nawaz Sharif’s political career in Parliament by banning him from running for public office for life. In a tweet after the verdict, Maryam Nawaz said people stood by her father. "Well done Nawaz Sharif! You weren't afraid, and you didn't bow down. You gave priority to Pakistan over your own personal interests. The people stand by with you. You will be victorious." Both are currently in London, where they are tending to Kulsoom Nawaz, Nawaz’s wife, who is critically ill and is being treated at a hospital there. 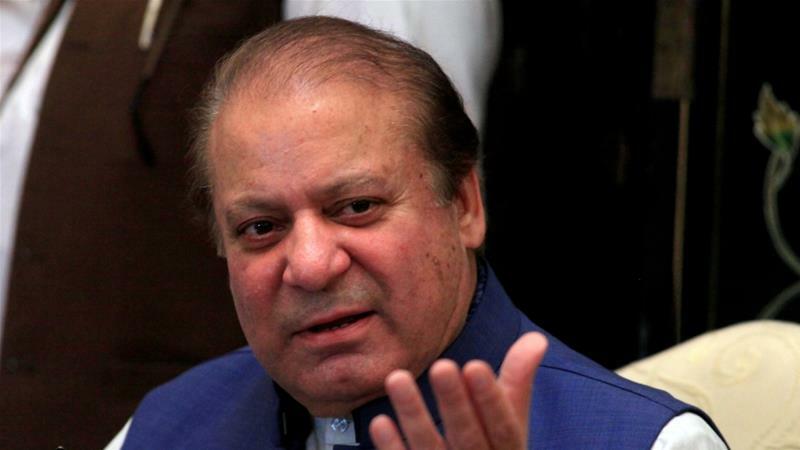 "I am not a dictator who will run away from the courts," Nawaz told a press conference on Wednesday, saying he would face whatever punishment the court handed down. "I am absolutely ready [to go to jail]," Maryam told reporters earlier this week. "This is not something to be afraid of." Pakistan’s military denies any involvement in politics, but has ruled Pakistan for roughly half of its 70 years since independence.